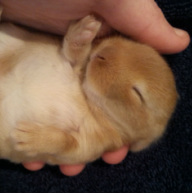 3 Holland Lops out of SBB's Jewel and Wren's Lolly, kindled Feb 19. Ready for new homes on April 16, 2015. 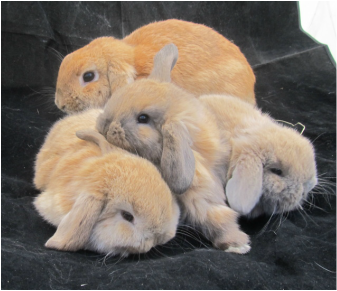 4 Holland Lops out of SBB's Boo and Wren's Lolly, kindled Feb 26. Ready for new homes on April 23, 2015. 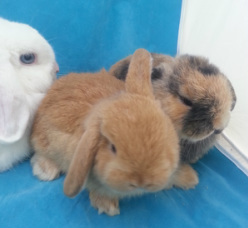 3 Holland Lops out of Wren's Alexis and Wren's Lolly, born December 19. One BEW buck, two tri-color does. We will be keeping one tri-color doe. 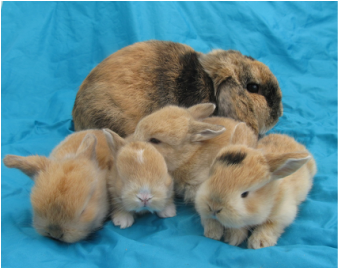 Velvet's 4 little Mini Rex kits, as of August 20, 2014. Here they are on their first day out of the nestbox--so excited! 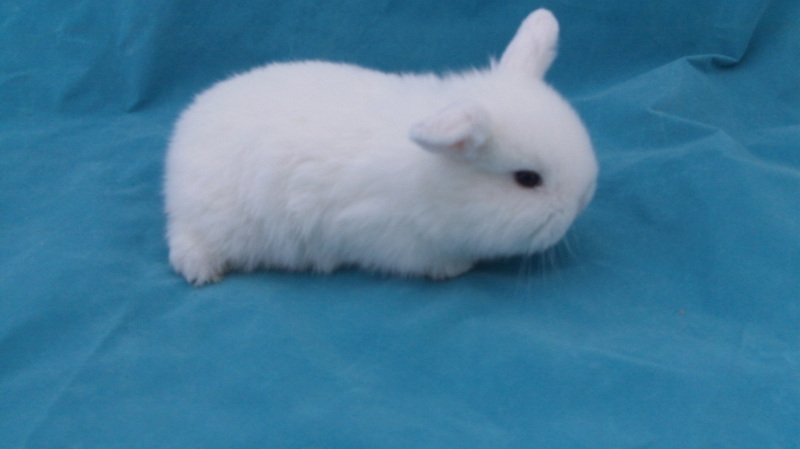 1 male kit was born to Roehe's Bon Bon, a blue Vienna Carrier Holland Lop, on July 23. He is a darling and very rare blue-eyed white (BEW), and will be ready for a new home on September 17, 2014. 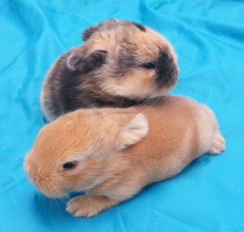 2 kits were born to Alexis, a Blue-Eyed White Holland Lop, on July 11, one orange VC and one tri-color VC. 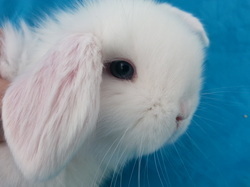 (VC = Vienna carrier and means these little guys carry the gene for blue eyes, but it is hidden--they have brown eyes. Their off-spring will have a 50% chance of having blue eyes.) We have decided to keep these two females for our breeding program.